Customer journey mapping is all the rage these days. But businesses have been trying to map customer journeys for years. It’s one of the tenets of advertising — identifying touchpoints that occur as customers become aware of a business, engage with it, and, hopefully, become customers. In the digital age, however, customer journeys are becoming increasingly complex. Thanks to technology, there are now so many new ways that customers can find businesses and learn about them. Social media, online communities, content marketing — these are just a few common channels of awareness that are utilized by modern customers. At face value, more paths for customers to take to find and engage with your business may seem like a great thing, and it is. But it makes journey mapping a little more difficult. In the digital age, two customers may arrive at the same point in your customer journey, but through completely different touchpoints. Customer journeys are becoming unpredictable and harder to understand, because they’re no longer linear. That’s why, in 2018, there’s a shift happening in journey mapping. More and more businesses are taking a holistic approach to mapping their customers’ journeys, rather than focusing on specific touchpoints. This is good for businesses, because it helps them create a consistent UX framework, even at a time when customer journeys are less predictable than they’ve ever been. And it’s good for customers, because it pushes businesses to give them the personalized experiences they seek (and expect) in 2018. 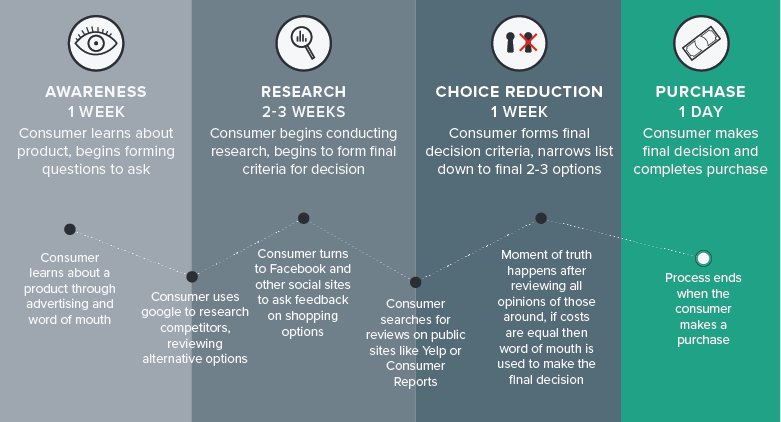 What do customer journeys look like now? The digitization of customer journeys has resulted in a few important changes. A 2014 Nielsen survey showed that more than 40 percent of consumers considered a mobile device to be their most important resource for making purchasing decisions. Nearly half of all smartphone owners said they had participated in “showrooming,” meaning they went to a brick-and-mortar store to see a product, only to order it online instead. Customer journeys need to be entirely mobile-friendly as more and more consumers turn to mobile outlets to engage with businesses. Today’s customers also expect excellence — they want to be wowed by every interaction they have with a business. That means they expect every touchpoint to be fully functional. They want to be able to search for products, see product reviews, get fast and simple support, give feedback and make purchases, no matter where they are in the buying process. Even as new touchpoints are developing and existing touchpoints are rapidly changing, there’s very little room for businesses to make mistakes during the customer journey. With that said, the digitization of customer journeys has also provided some important advantages to businesses. It’s now easier than ever for businesses to streamline the experience, adding or removing steps, touches and moments. Watching customers navigate these new digital landscapes has also given businesses such a deeper understanding of their customers and how to connect with them. As the physical and digital worlds collide and intersect, businesses are having to become more authentic to appeal to customers who make decisions based on emotions, connections and trust. And those more personal relationships that are being built with customers are driving loyalty. Digitization has made the world all the more connected, and that goes for the relationships between brands and their customers, too. As you make the transition from touchpoints to a holistic customer journey, automation is a key tool. Customers want personalized experiences, but they also want instantaneous communication and solutions, which is where automation can really improve your customer journeys. And since customer journeys are less predictable today than they used to be, automating the parts that are predictable can free up a lot of time and resources that can then be dedicated to providing a more personal UX in areas that aren’t automated. Here are some key ways automation can help you transform your customer experience. You can track your customers’ browsing and shopping behaviors, and automate so that certain behaviors or actions trigger emails sent to customers to upsell, cross-sell, or provide them with support if they need it. Not only does automation in this case save time and effort on your end, but it truly customizes the experience for each customer. Automated emails will only be triggered based on their individual journeys, and they’ll likely take note of the extremely personalized nature of this particular interaction. That’s exactly what today’s customers are looking for, so it’ll be a huge win for you. Technology now allows businesses to mine a considerable amount of information from their customers, allowing them to learn details that can personalize the experience more than ever. One way to put this tactic to work in an automated fashion is to provide personalized web content based on the information you know about your customers. For example, you can tailor the information that’s displayed based on a customer’s location. You can switch it up based on their age or gender. You can show them personalized information based on their past purchases. There are countless ways to use the demographic information you already have to personalize landing pages and other web content. There’s no replacement for a real human in a lot of customer service scenarios. Just like customer journeys are becoming increasingly complex and unpredictable, so are their service needs. But for simpler queries, like navigating your company’s FAQ? Why not use a chatbot? It’s a simple way to automate responses to the kinds of questions your customer service representatives receive frequently. And as AI becomes more and more advanced, chatbots are truly becoming difficult to distinguish from actual humans. They can handle simple tickets while directing the more complicated ones to the right person to handle them in a way that will wow the customer. Another area where you don’t necessarily need a person to respond to every customer? Social media. You can automate monitoring social media for mentions of your business or product, and then even automate the response. Based on the sentiment of the mention, an automated response can be generated pretty easily. 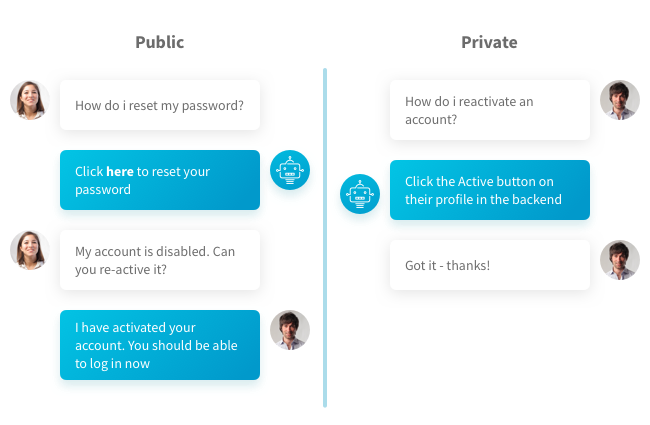 The same kind of AI used for customer service chatbots can evaluate the mention and decide if it needs to be kicked up the line for a more personal response, if the sentiment is neutral or unclear. As automation becomes a more widespread tool, even aspects of your business like buying ad space can be automated. Programmatic advertising uses real-time bidding to automate the process of buying desktop display, video, FBX and mobile ads. Campaigns can be purchased booked, analyzed and optimized using just a series of algorithms. 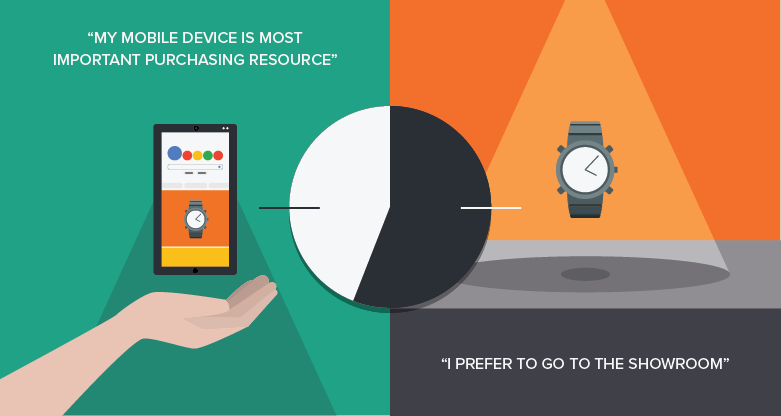 Your campaigns become even more technology and results driven, and they’re more hands-off. It’s a win-win. As the customer journey landscape continues to change, technology will play a larger and larger role in the way businesses attract and interact with their customers. By getting on board now (and automating some of these processes so they don’t take up too many of your company’s resources), you can be ahead of the curve as new advancements continue to be made.